GEORGETOWN, Guyana (CMC) – Opposition Leader Bharrat Jagdeo Wednesday criticised the Guyana Elections Commission (GECOM) over its position that fresh regional and general elections could not be held before November this year. Jagdeo, speaking at a news conference, said that the letter written by GECOM chairman, retired Justice James Patterson to President David Granger on Tuesday informing him about the possible time-table for the polls, was meant to give the executive an excuse for further delaying the elections. Jagdeo has been calling for the polls to be held no later than March 19, following the December 21, 2018 motion of no confidence that he successfully tabled in the National Assembly. Under the Guyana Constitution, the elections are to be held 90 days after the motion was carried, but the GECOM, which had initially said it would not have been able to meet the deadline, had then suggested a date in July. Jagdeo told reporters he was confident that the polls could still have been held by March 21 and that the letter from Patterson provided Granger with an excuse to further delay the exercise. “This letter was a carefully contrived letter, just before the expiration of the constitutional life of the Government to give President Granger and excuse and out to say it is not me, it is the GECOM, which he has been saying all along and look now we have them saying they can’t hold elections until November, so the Opposition is being unreasonable. 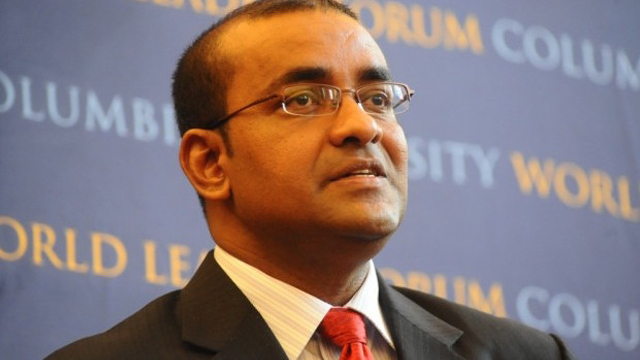 It is not us it is the GECOM that is delaying the polls,” Jagdeo told reporters. Patterson also indicated that funds were needed for the GECOM to hold credible elections, saying that he has been advised by the “chief elections officer, that given all our current considerations, an amount of three and a half billion Guyana dollars is required. Patterson also made reference to the electoral list, noting that he has been informed by the chief elections officer and the commissioner of registration that “given the current time and operational status, it would be a logistically impossibility for the commission’s secretariat to produce a list with a qualifying date of 30th April 2019, which could be available for 1st May, 2019”. “Accordingly, the secretariat’s submission to the commission all viable options for the availability of an electoral list are anchored in a qualifying date of 31st October 2019 which lists cannot be used before 1st November 2019”. But Jagdeo said that the plans for house to house registration was just another ruse to delay the polls. “Elections can be held, the house to house registration now is just an excuse to delay the elections. It will not enhance transparency or voters rights but it is just being used to delay the elections,” he said. He added that the inclusion of house to house registration in the latest GECOM timeline is something that will not receive the support of the main Opposition People’s Progressive Party (PPP). “Without house to house registration, elections could be held in a short period…all you have to do is extend the validity of this list and then have the elections within two months or so”, he said. “We are in a crisis, we are approaching a constitutional crisis, it cannot be business as usual. The PPP wants the Government to respect the Constitution and call elections early. “We are not going to have them push the elections to the end of the year or next year,” Jagdeo added.